Since the 1940s, the annual number of fatalities from lightning has been decreasing. In 1940, lightning was the #1 weather-related killer. In 2015, lightning was in last place. How many people were killed by lightning in 2015? Answer: Approximately 27 people were killed by lightning in 2015, according to NOAA records. This represents a 91% decrease, annually, since 1940. The following chart shows both injuries and fatalities for the 75-year period 1940-2015. It’s interesting that during the 19 years from 1940 through 1958, 100% of lightning-related injuries resulted in death. I personally find these data suspect, and I am inquiring. However, the remainder of the data seem reasonable and the downward trend in lightning deaths certainly fits with improved emergency response and medical treatment of the modern era. The relative frequency distribution reveals the fraction of total weather-related fatalities each year that were caused by lightning strikes. In 1940, 66% of all weather-related deaths were from lightning; in 1941, the relative frequency was nearly 80%. In 2011, lightning fatalities accounted for just 2% of all weather-related deaths; in 2015, only 5% (last place among other hazards, in both examples). The lightning flash rate (concentration) is highest in tropical regions near/within the the Intertropical Convergence Zone (ITCZ). 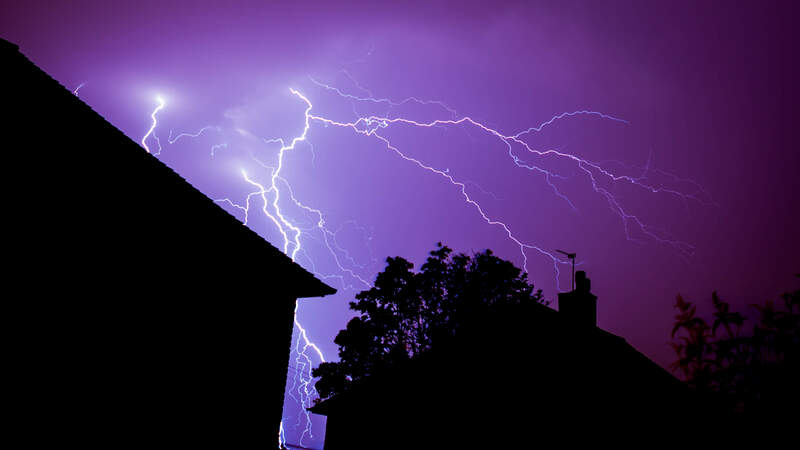 In the United States, the coastal Gulf states and much of Florida have the greatest number of lightning strikes annually. Florida consistently ranks #1 for lightning fatalities in the U.S. 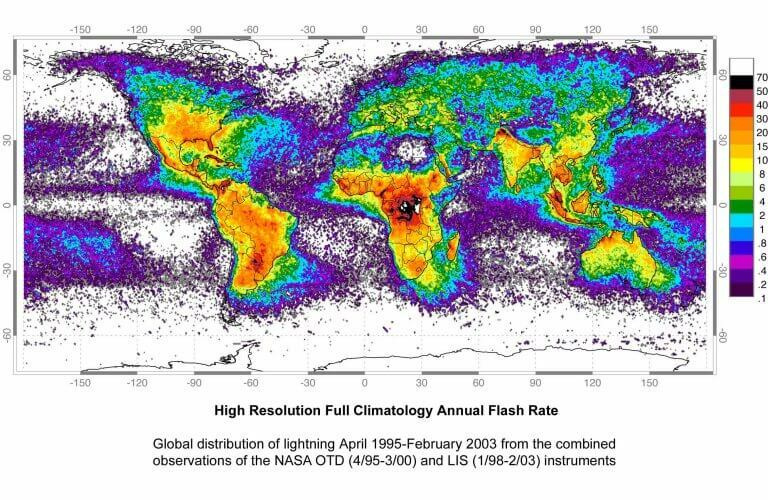 Annual global distribution of lightning strikes (1995-2003).